Two weeks ago I wrote an article about the comeback of Compact Cassettes, an article that has been one of the most “shared” and commented upon on our official Facebook page. Someone commented it all seemed a joke. Well, it is not, so I'll try to prove this comeback is for real. 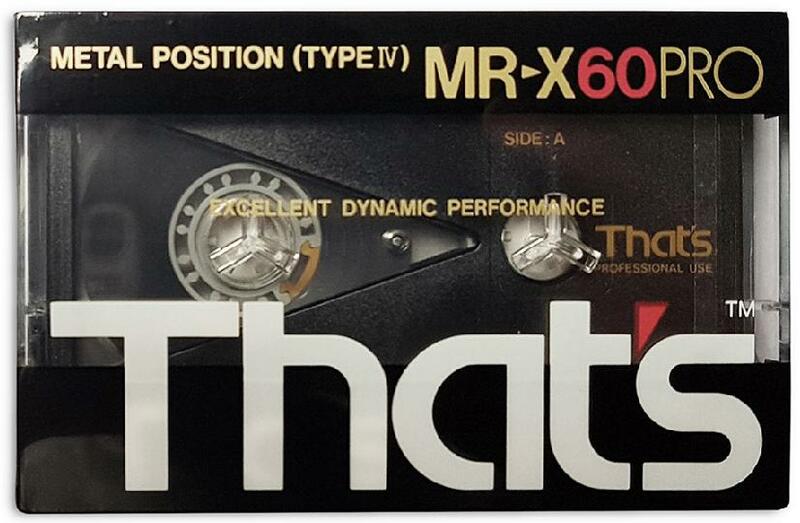 Indeed, not only are pre-recorded Compact Cassettes selling quite well, but even blank tapes and, hear hear!, cassette decks and portable players/recorders are currently flooding the market. Anyway, chances are you don't have a collection of vintage tape decks to use, so you might be interested on what the market has to offer nowadays. If that's the case, you're a lucky man, as a pletora of new tape decks and recorders are becoming available. First of all, new tape decks allow for converting cassette sound into MP3/USB. Why on Earth should this be an interesting feature is something beyond my comprehension, so I'll let you decide if it can be useful or not. You might also need to make a copy of a cassette on another cassette, right? That's why, at a certain moment in the history of humanity, dual tape decks appeared on Earth, and walked together with dinosaurs. And, guess what? They're walking on Earth again! For example consider the Pyle Audio PT659DU, a dual stereo cassette deck with tape USB to MP3 converter and dual speed dubbing. It costs you a reasonable 110$ on Amazon. Not enough to suit your needs? You might be willing to spend a little bit more for a rather sophisticated deck, then the TEAC W-1200 dual cassette deck might be the right choice, at 399$. It can convert cassettes into 16bit/48kHz PCM files, so you can store your tapes on a PC. If you're after a more “pro”-oriented component, do not forget the new version of the classic Tascam 202 (now mk VI) dual deck, which sells for 500$ more or less, and even features a mix recording function. On the other hand, you might be looking for something which can play cassettes without the need of a complete stereo system. A sort of an all-in-one component. Enter the TOSHIBA Aurex TY-AK1, a SD/USB/CD radio cassette combo that sells for 395$. A modern boom-box, by all means. There are sevaral other boom boxes in the market, though. Perhaps a boom-box is too much and you just need a walkman and, guess what?, they're available again! For example the Jensen SCR 68C, for just 15$ it offers both cassette playback and FM/AM radio. Even the Sony website, the guys who invented the Walkman, dedicated an article on the comeback of compact cassettes, guess what's next? ;-) A revamped edition of the original Walkman? 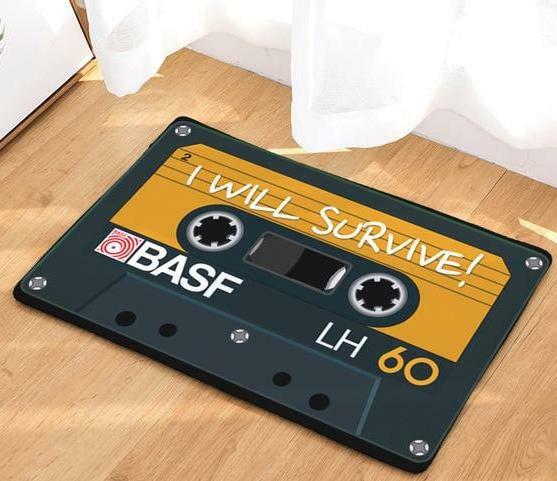 Now that you've fallen in love with cassettes, you can't avoid a Compact Cassette doormat like this one for sale on www.artisticpod.com for 20$, more or less. Hurry up while supplies last! Finally, if you're after Compact Cassettes, you can't miss TapeHeads.net Forum, an interesting place where you can learn or share your experiences on tapes (reels or cassettes). Stay tuned, readers: My next article will focus on the resurgence of 8-track!